← Mission Accomplished. And, Oh, I’m Back! You could make a case that I’m a bit of a fair-weather friend when it comes to my imaginary celebrity BFFs. I play the field a bit, it’s true. But these days–and forever more–my truest of true celebrity girl-crush won’t-you-be-my-best-friend-pretty-please-with-a-cherry-on-top is Kristen Bell. There’s the whole sloth-adoration thing, which is so amazing that I’m still showing it to people more than a year later. 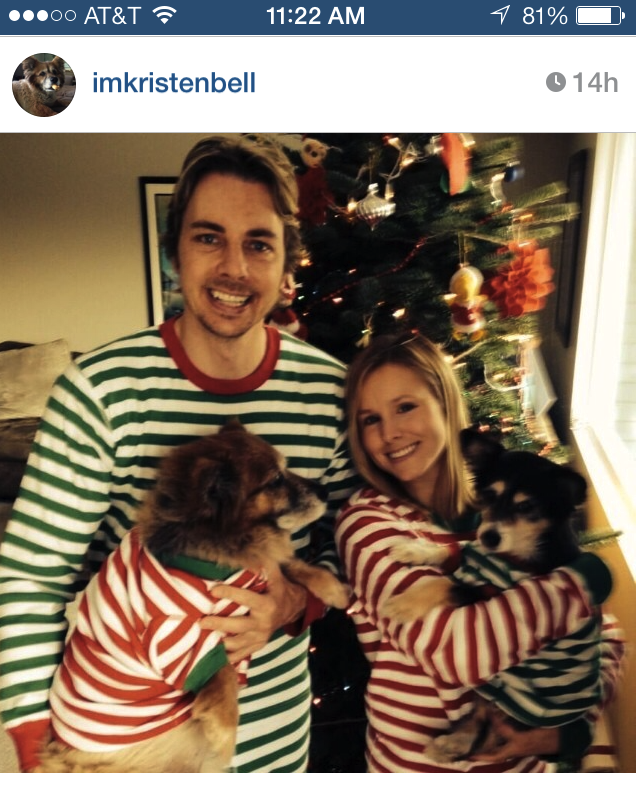 And finally, there’s the above photo, of Kristen and hubby Dax Shepard in their Christmas jammies. I love love love them. I love Dax (Crosby!). I love that he got her a sloth for her birthday party. I love that they are in love. Last night when she posted that photo to Instagram I squealed like a schoolgirl and sort of petted my phone in a super stalkery way that made Matt tell me I’d gone to the crazy place. Oh, and here’s what one friend got me for Christmas. Because she gets me. In this age of Jennifer Lawrence worship, can’t we all just have a Bell moment? 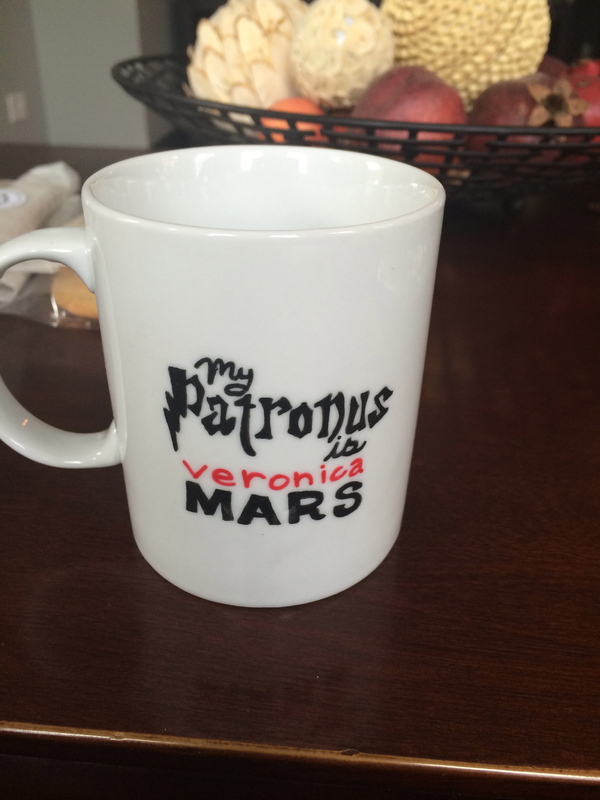 Should we make a Veronica Mars for President thing happen? Are you all with me? Do you think she’ll read this and come calling? All valid questions, I think. Sound off below. I loved Kristen Bell’s post when I saw it in a magazine, and I totally agree with everything you said=) cant wait for the next book!!! All I can really say is ditto, ditto, ditto. Kristin Bell is my hero! A few others reasons I love her- because she was the voice of Gossip Girl, and her role on Party Down and the fact that Party Down was basically all Veronica Mars actors. LOVE HER! She’s one of those actresses that can play the hero AND the villain. Loved the sloth video, but also the one when she surprised Dax at his father’s death bed so he could feel the kicking of the grandchild he would never see. She flew from location for one day and Dax sobbed and I became a Puffs puddle. Ohmygosh. I saw a photo of that but there’s a video??? ?